Professor Raja Kummoona, Fellow of the Royal College of Surgeons of England (FDSRCS), Emeritus professor of Maxillofacial Surgery of Iraqi Board for Medical Spcializations, Fellow Royal Society of Medicine, Resaerch Fellow Royal college of Surgeons of England for the years (1975-1977), President of Iraqi Dental Society for the years (1977-1985), Registrar of Primary FDSRCS in Iraq for the years (1985-1990), the most distinguish professor of University of Baghdad for the years 1991-1992, one of 40 top scientist in Iraq awarded gold medal for 3 years 2000-2002 by presidential celebration, he had many publication and contribution to science by advocating many surgical procedures and research in cancer surgery and flap reconstruction, TMJ surgery and Maxillofacial injuries, Orbit tumors& injuries, missile war injuries of the face with advancing surgery of war injuries of the face worldwide. With contribution in research in cancer the finder of post graduate studies in maxillofacial surgery in Iraq. Editor of Neck Dissection, Clinical Application and Recent Advances, Feb 2012, InTech, Editor, Surgical Reconstruction of the Temporo-Mandibulr Joint, 2013 Editor, Germany. Disease of the TMJ, surgical reconstruction, clinical &experimental Studies, April, 2014, SciencePG. Jaw lymphoma and orofacial tumors are interesting topics from many points of view, clinical, pathological and managements. The book contains 9 chapters, first chapter deals with jaw lymphoma, a clinical-pathological entity, we discovered this disease during the seventeenth of the last century and our colloquies diagnosed it as Burkitt lymphoma, investigation carried out to prove this tumor was not a Burkitt lymphoma, based on clinical behavior, response to treatment and etiology and not associated with Epstein-Barr virus. We did an extensive research to understand the pathology of this highly fulminating and lethal disease. Second chapter deals with oral cancer and we concentrated on cellular research to study the proliferative activity of oral cancer cells by using both Ag NOR and EM, also BcL2 used as ant apoptotic with immune-histo-chemistry of the cells, also studied with P53 with PCNA as tumor markers. Third chapter deals with orofacial tumors and cancerous growth in children, the pathology of tumors of children behaves differently, some very unique and pathology presented. Different techniques have been used for manage¬ments of these peculiar tumors. The fourth chapter deals with lateral cervical flap (LCF), the anatomy of the flap, design, clinical applications and experimental studies in Rabbits to assess the viability of the flap. It is applied both in after radical cancer surgery and in post-traumatic missile war injuries also the evolu¬tion of the flap presented. The fifth chapter covers reconstruction of the mandible by bone graft, metal prosthesis and temporary K-wire. All techniques were described and discussed for each case and the advantage and disadvantage of each technique. The sixth chapter deals the use of CO2 Laser in managements of oral cancer; the subject is interesting to be applied in both benign and malignant tumors. Experiment studies carried out on Rabbit tongues and the result was optimistic. The seventh chapter deals with cryosurgery for treatment of oral lesions and also been used for controlling bleeding after extraction of teeth in hemophilic and Christmas disease before giving them cryoprecipitate. The effect of cryosurgery in inducing immunity against cancer. Local anesthe¬sia been applied through periodontal membrane. 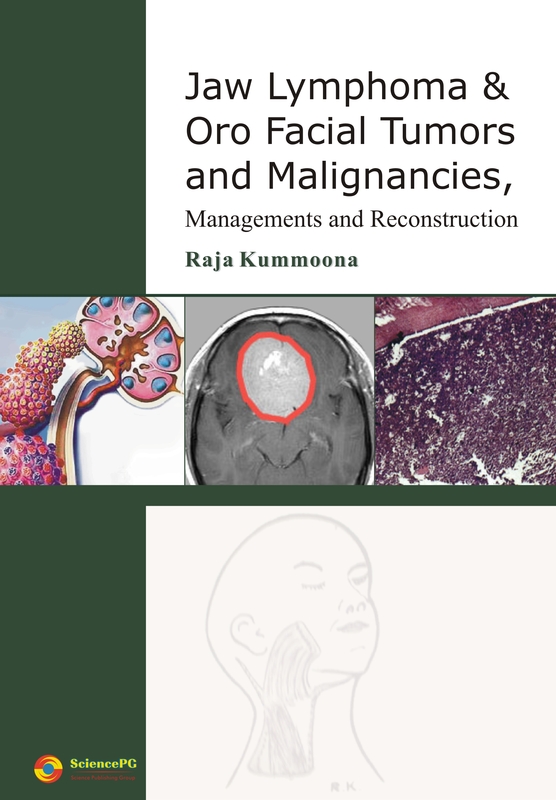 The eighth chapter deals with orbital tumors of benign and malignant type and the managements of these difficult tumors and malignancies with the different techniques for reconstruction of the orbit after radical surgery. The ninth chapter covers a very interesting pathology of rare malignant tumor of the lower jaw, Myxo-Fibro-Sarcoma is a unique tumor, the pathology is interesting and the managements by radical surgery. This book is very exciting book to all plastic surgeons, ENT surgeons, maxillofacial surgeons and craniofacial surgeons from pathological and surgical point of view.